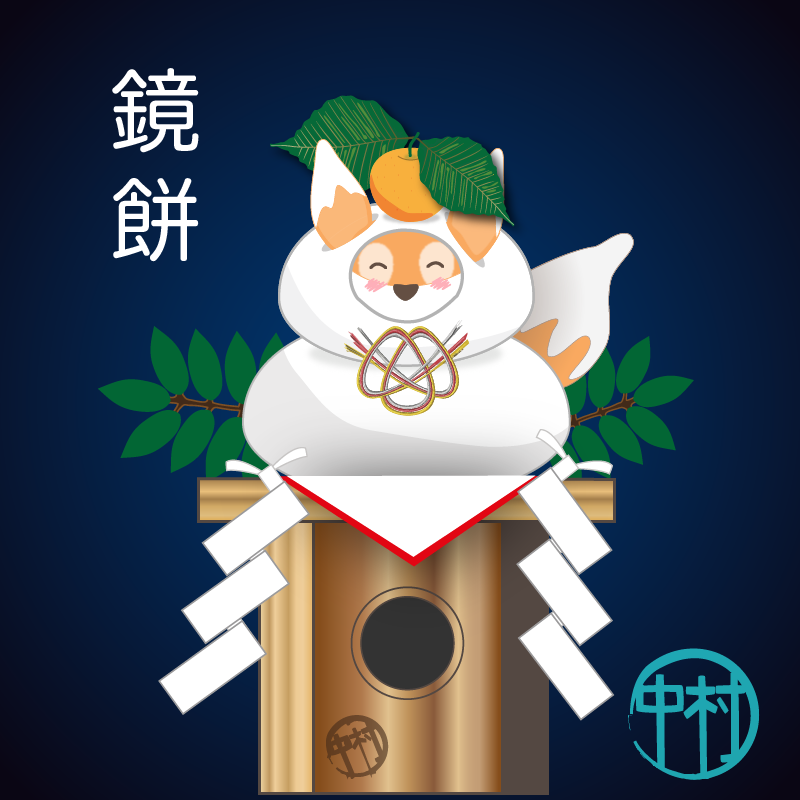 Here is Kiku dressed up as a Kagami Mochi (鏡餅), a New Year decoration made from two round mochi rice cakes, a larger one on the bottom, then a smaller one, and a daidai Japanese orange placed on the top. According to Shinto custom, these should be placed in several locations around the house from the 1st January to the day of ‘kagami biraki’. Kagami mochi means ‘mirror rice cake’ (perhaps named after the mirrors used in Shinto religion), and is thought to contain the spirit of rice, therefore is a perfect way to welcome the ‘toshigami’ – a Shinto deity who visits during the New Year, as well as being offered to other household spirits. Kagami mochi is readily available packaged in plastic containers in convenience stores and supermarkets. Miko is more interested in when she gets to eat the mochi! This happens after kagami biraki (鏡開き) has taken place, normally on January 11th. Kagami biraki means ‘rice cake opening’. After the opening of the mochi, it can be used in a type of shiruko – sweet red azuki bean soup with mochi dumplings, called ‘ozenzai’ (おぜんざい). A real warming sweet treat for January!